What? 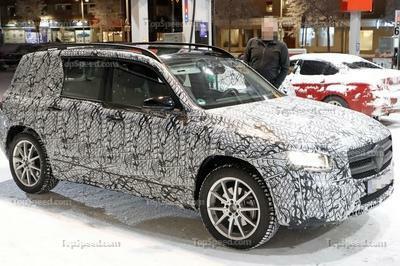 BMW Eyeing Premium Pickup Segment?! No, it’s not April Fools, but news from Down Under is undeniably strange. In talking with BMW Australia’s Managing Director, Marc Werner, at the M3/M4 Competition launch in Queensland, Motoring was told “never say never” in regards to BMW’s entry into the pickup market. Yep, the M3 pickup joke from 2011 and the X3-based pickup aren’t looking so laughable now. This all comes after BMW’s Asia, Pacific, and South African chief, Hendrik von Kuenheim told reporters in 2015 BMW would “definitely not” build a pickup. Now a year later, Kuenheim’s subordinate is undercutting his bold statement. “We’re watching the space closely,” said Werner in reference to the premium pickup segment – the same segment Mercedes-Benz is entering with its partnership with Nissan. So could this mean BMW is actually considering the possibility of building a pickup? 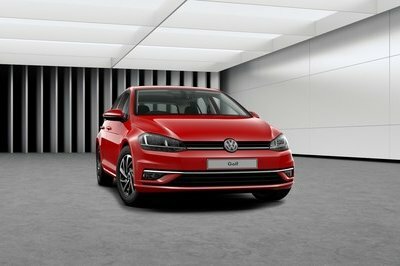 Perhaps, but it’s likely the German automaker is simply keeping tabs on the market space. After all, modern BMW isn’t one for letting vehicle segments slip away. A quick glance at its 3, 4, 5, and Gran Coupe Series cements that theory. BMW could, however, jump into the premium pickup segment if it sees Mercedes and Tesla making money. And like Motoring points out, this wouldn’t be the first promise BMW has ever broken. 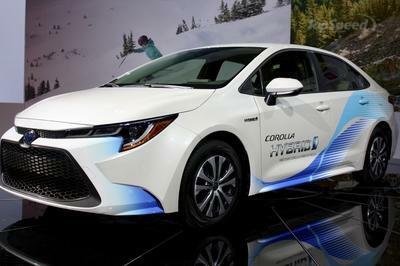 The automaker has trailed away from its “Ultimate Driving Machine” mantra to one that includes FWD cars. Logistically, BMW could leverage its relationship with Toyota when it comes time to build a pickup. Imagine a Toyota Hilux bathed in BMW luxury. Now there’s something truck buyers would gobble up. BMW has long been respected for focusing on the driving experience. Its 3 Series and 5 Series sedans pushed the envelope while its M division shoved it into a new dimension. These days, however, BMW is more about filling niches and catering to every corner of the automotive market. Why the pickup segment should be excluded is unexplainable. 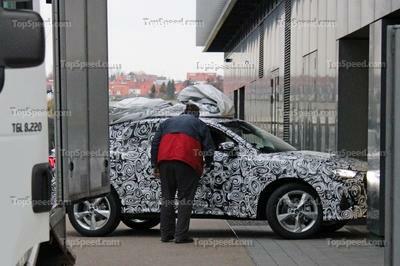 Besides its partnership with Toyota, BMW’s entrance into the pickup segment will be more difficult than for Mercedes. As Werner points out, “It’s easier for Mercedes [to bring a pickup to market] because they have commercial vehicles and trucks and vans. We do not.” He took the theory one step further to include Audi, saying, “And perhaps it’s easier for Audi. Just take the Amarok, why not?” The idea of Audi rebranding the VW Amarok is actually a pretty logical thought, and one we’d bet the VW Group is toying with. Man, who would have ever though the Germans would entertain the idea of entering the American pickup truck market. And moreover, that they would enter the world pickup market, pushing their trucks to all corners of the globe. This will certainly be interesting to follow. 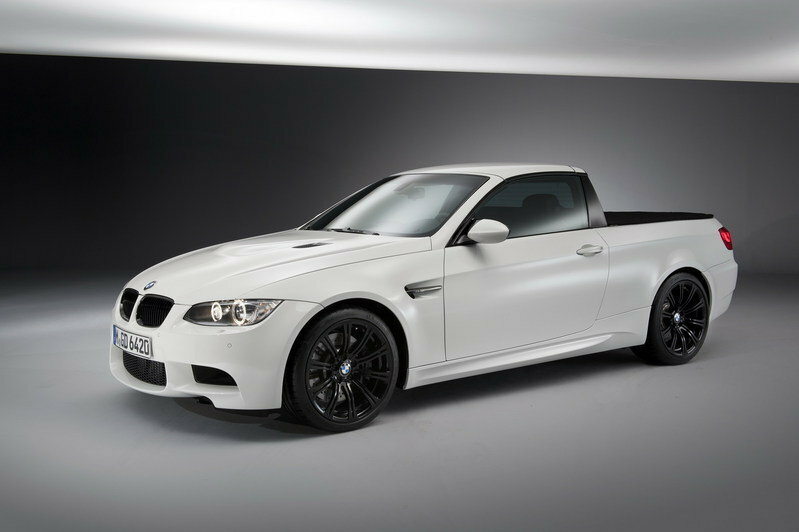 Read our full review on the BMW M3 Pickup here.